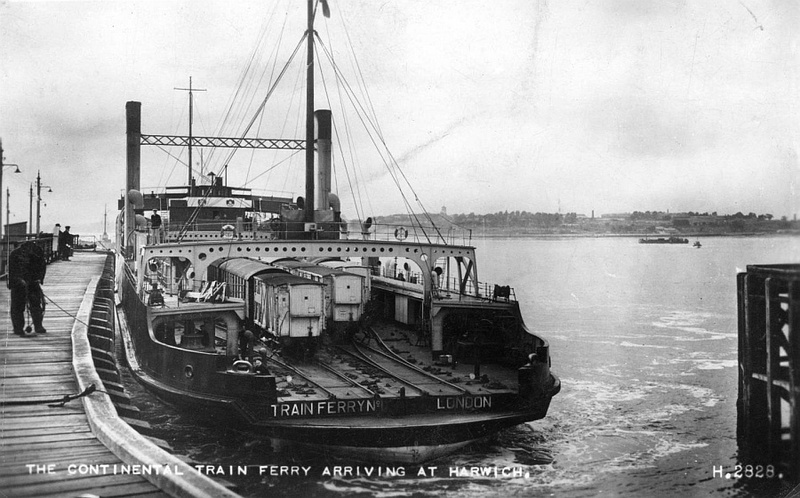 Comments:	 Designed to help alleviate the bottlenecks at the Channel ports during WW1. 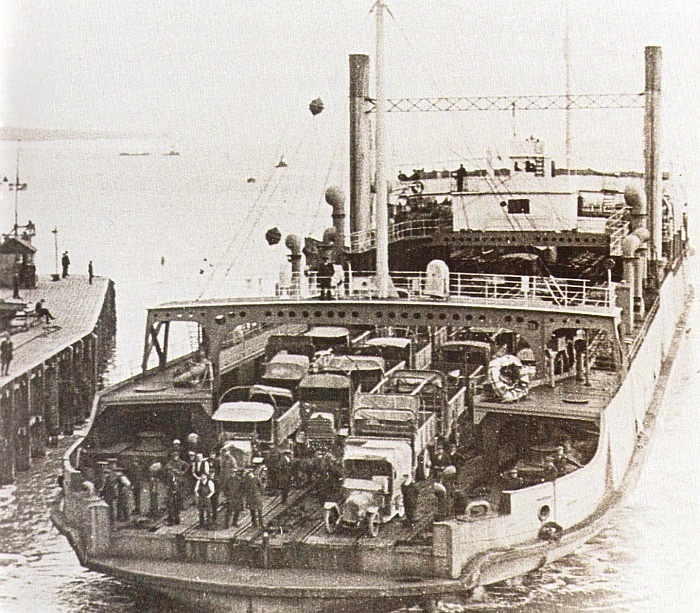 Conventional ships were loaded with all sorts of heavy and bulky war materiel and then unloaded after a very short journey by sea. Roll-on roll-off train ferries were seen as a way round this problem. They were designed to be used from the new Military Port of Richborough in Kent but started service between Southampton and Dieppe as Richborough was not complete. 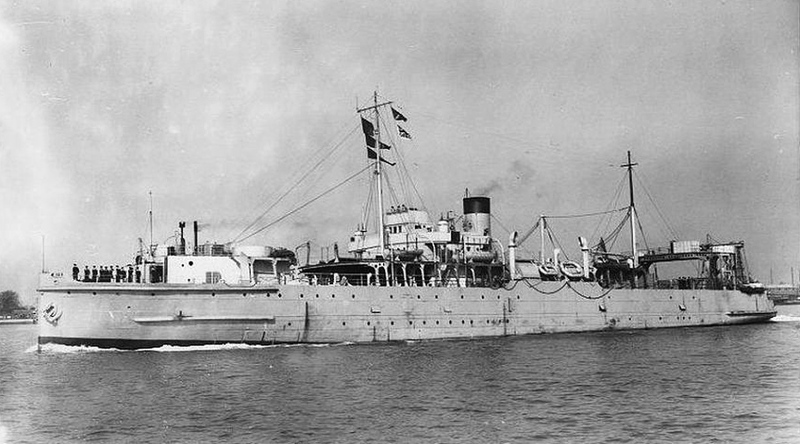 The War Office ordered three vessels despite the objections of the Admiralty about being a waste of time and effort and that they would not provide the service required. All the objections were disproved in practice and the first vessel entered service 11 months after Cabinet approval had been given for the project. They had four sets of rails along the train deck & used a link span to load when in harbour. The greatest vindication for the design was the carriage of two siege guns each weighing 189 tons that were rolled onto the normal cargo deck. 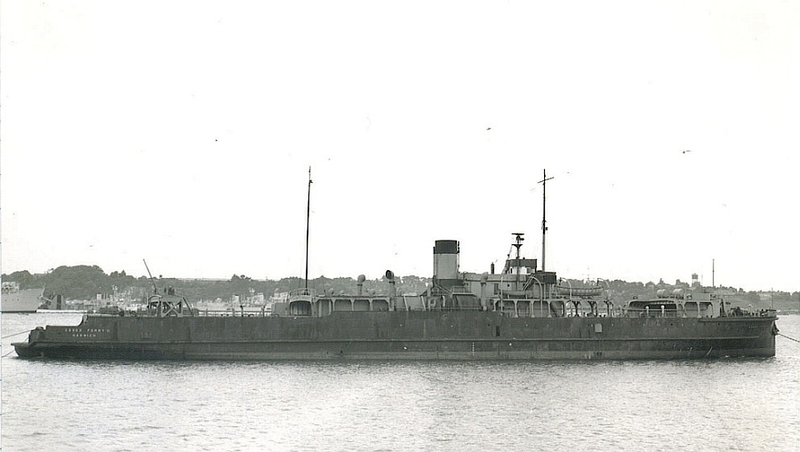 1941: Converted to a Landing Craft Carrier, the twin funnels were incorporated into a single stack. Capable of carrying 14 landing craft in the train deck (launched via a stern chute) and 4 more by crane on the upper deck. 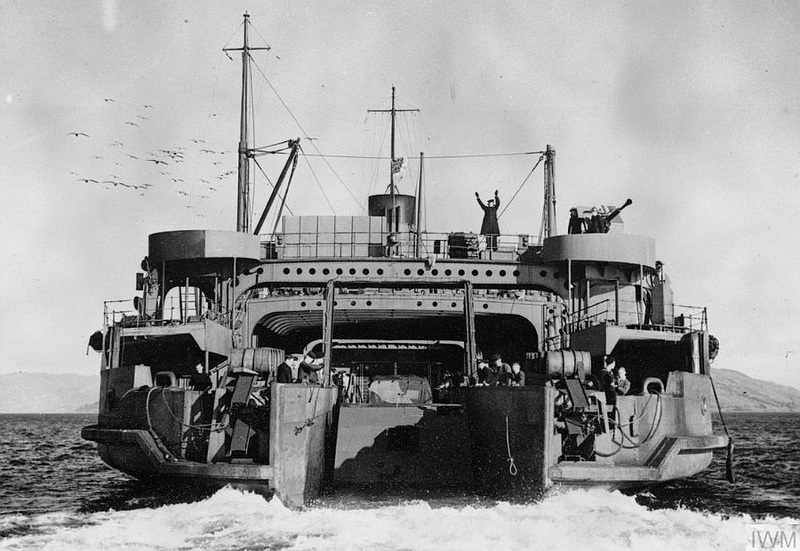 She spent most of her time ferrying landing craft to southern ports. After the Normandy invasion, she ferried damaged craft back to the UK. 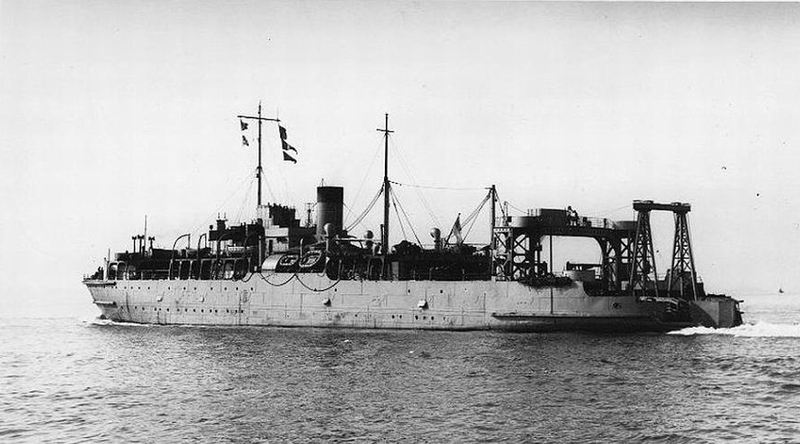 In August 1944 she was re-converted to carry locomotives from Southampton to Cherbourg and Dieppe, but by 1945 she was again ferrying landing craft.